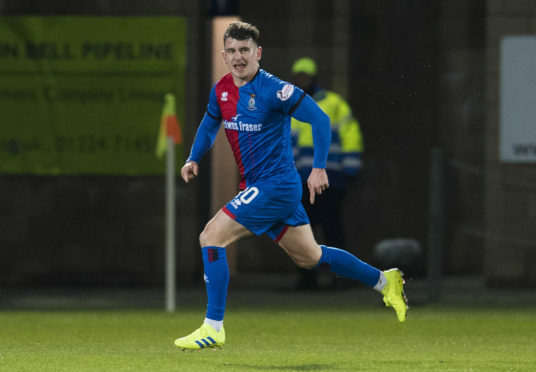 Caley Thistle winger Aaron Doran feels his side have shown they are every bit as good as Ross County ahead of next Tuesday’s Scottish Cup fifth round replay at Caledonian Stadium. Inverness must face their Highland rivals for a fifth time this season, after the Staggies netted in stoppage time to secure a 2-2 draw in Monday’s last-16 tie and Victoria Park. It was the third draw between the sides this season, with County the only side to have triumphed in a 2-1 victory at Dingwall in December, however Irishman Doran feels a lack of cutting edge has cost John Robertson’s men the derby results they have merited. “This season we are just not seeing out results and that is the disappointing thing. “We are a good footballing side, we create a lot of chances and play some nice football. Doran added: “I played in that game. They have a few of our players from back then, it was Billy Mckay who scored two in the replay. “It’s just really disappointing to concede so late – it feels like a loss. “I was playing well and scoring goals – I think that’s three in three. I just want to keep it going, shoot as much as I can and score as many goals as I can before the end of the season.